When Indra and I set out to form our company some 23 years ago (yikes that’s a long time!) we wanted to do good work both as marketers and as citizens of our community. 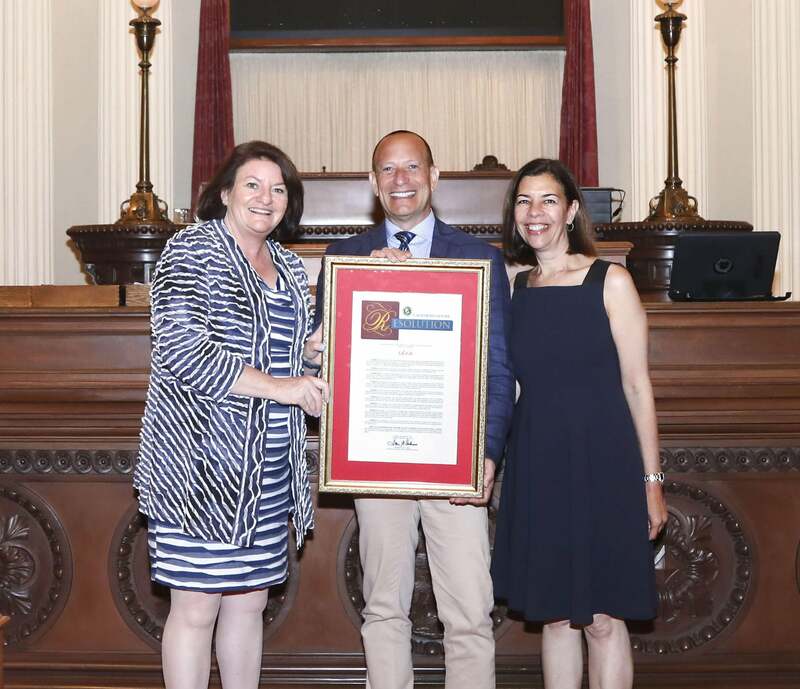 That’s what is so special about being honored by California Senate President Pro Tempore Toni Atkins as Small Business of the Year. Singled out within Senator Atkins’ District 39, i.d.e.a. is in the spotlight because of our community involvement and support of our district’s causes and people in need. Chosen from a pool of 4 million small businesses in the State of California, i.d.e.a. is in rarified company. 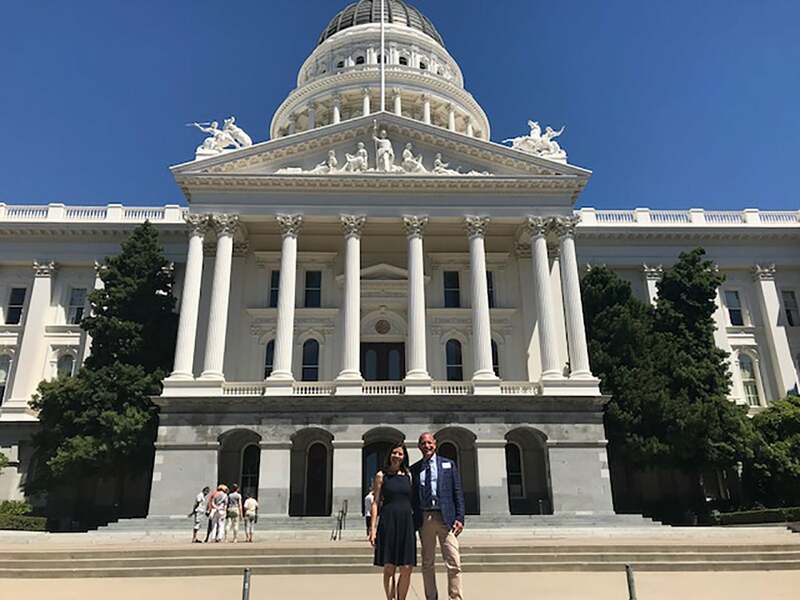 We joined 75 other California small business owners at the State Capitol in Sacramento for the awards event on June 19, and I have to admit we got a little choked up. It’s easy to get caught up in our daily trials and tribulations, and lose sight of the greater good. From day one, Indra and I have been committed to volunteering for nonprofit causes and giving back to our community. It felt really amazing to look back on our contributions and be proud of the company we’ve built and the amazing humans we’ve been fortunate enough to have on our team. Hearing our names called from the podium (by the Senate President Pro Tempore no less) we just looked at each other with heartfelt smiles of gratitude – for each other, for our team, for the nonprofits we love and yes, for our accomplishments together. Some may know that Indra and I actually met in 1992 at a nonprofit fundraiser, and it was a momentous introduction. Flipping pancakes for Mama’s Kitchen, an organization dedicated to providing meals to those homebound by AIDS/HIV and other critical illnesses, we served, laughed and bonded. From that auspicious beginning we became fast friends, soon hatching a plan to start our own marketing agency. Fast-forward several years, and i.d.e.a. was a thriving agency certified as a member of the international B Corp Community, a group of socially conscious, for-profit companies dedicated to doing business for good. Part of our DNA and culture at i.d.e.a., giving back is part of everything we do. This is why, sitting in that awards program at our State Capital with Senator Atkins, we swelled with pride for our team’s accomplishments. We’ve won more than our share of statues, awards and accolades for our creativity and campaigns over the years, but none have been as personally meaningful as this. Indra and I are not the type of people to be overly self-congratulatory. However, this time? This time we are proud of the applause, joyful to shake Senator Atkins’ hand as she handed us our award, and enormously grateful for each other’s partnership and friendship over these many years. This honor is deeply meaningful because it celebrates our values – doing good things for those in need in San Diego. And that’s the best kind of award we could possibly receive.